RAID LEVEL WAS ALWAYS A VERY TOUGH TASK TO UNDERSTAND.BUT THIS BLOG WILL HELP YOU TO UNDERSTAND RAID LEVELS IN A VERY EASY WAY. 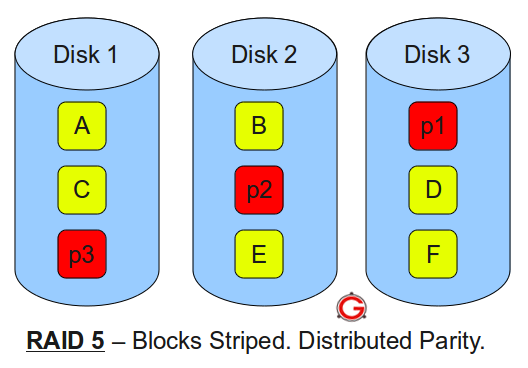 RAID stands for Redundant Array of Inexpensive (Independent) Disks. On most situations you will be using one of the following four levels of RAIDs. 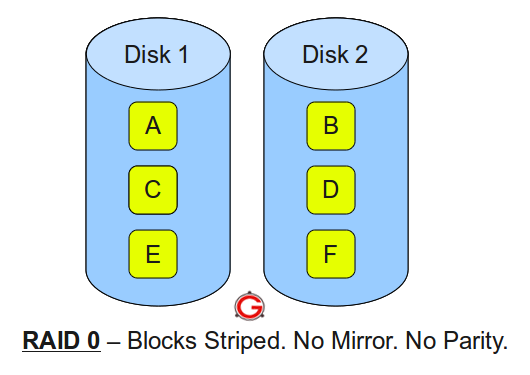 This article explains the main difference between these raid levels along with an easy to understand diagram. Following are the key points to remember for RAID level 0. Excellent performance ( as blocks are striped ). 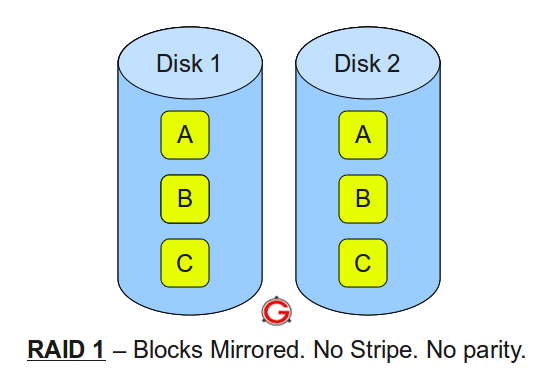 No redundancy ( no mirror, no parity ). Don’t use this for any critical system. Following are the key points to remember for RAID level 1. Good performance ( no striping. no parity ). Excellent redundancy ( as blocks are mirrored ). Following are the key points to remember for RAID level 5. Good performance ( as blocks are striped ). Good redundancy ( distributed parity ). Best cost effective option providing both performance and redundancy. Use this for DB that is heavily read oriented. Write operations will be slow. Following are the key points to remember for RAID level 10. If you can afford the dollar, this is the BEST option for any mission critical applications (especially databases). Stay tuned with us at Facebook & Twitter and Subscribe Email to get updates on latest Networking Updates.